SPRING is FINALLY HERE in Edmonton but with Spring comes those horrible allergy symptoms. Essential oils are a great way to help your allergy symptoms and enjoy Spring in all it’s beauty! Read more about our Young Living Deal of the Day for these three oils and how they can add to your wellness! BUY BASIL, TEA TREE, AND PURIFICATION OIL FOR 10% OFF! OFFER EXPIRES AT 2:00 PM! While there are a few essential oils that can help your Spring and allergy symptoms we decided to focus on Basil Tea Tree Essential Oil and Purification. Here is some information about the benefits of these oils. While both, Basil and Tea Tree, oils offer different aromas and have many benefits they do share a few! If you suffer from allergy symptoms where you break out in hives or rashes, these essential oils can help to ease the areas of concern. 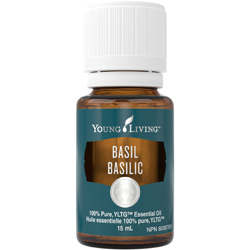 Basil oil helps your respiratory system by reducing inflammation and aids in your body’s ability to fight off infection! Suffering from allerg ies and being constantly con gested can also affect your sleep cycle. Basil oil not only helps to alleviate your body’s response to pathogens in the air, it also helps to create a feeling of relaxation allowing you to have a better night’s sleep. 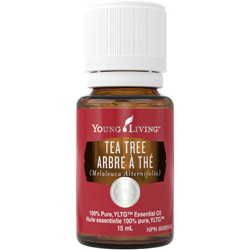 Tea tree essential oil is able to boost your air quality by purifying the air. All of the dust, mites, pollen, and more that reduce the quality of air and affect one’s respiratory system can be destroyed by Tea Tree oil. Not only does it help you have clean air but it also helps your body to fight off infections! Use Purification to help improve air quality and get rid of bad odors. As well, enjoy the outdoors with the help of Purification! This essential oil can be applied to bug bites to reduce pain and itching.